Complete resistance to corrosion, scratches, cracks and numerous other advantages over standard solutions are characteristic for innovative, high quality vinyl sheet piling manufactured by Pietrucha company. 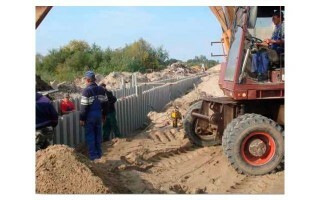 As a result of unique combination of properties, they are mostly used as flood walls or solid retaining wall systems. 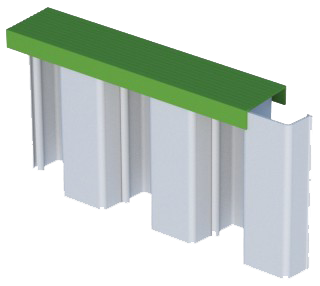 However, the plastic, PVC sheet piles have much wider range of application, including landscaping, construction of roads, protection of river banks, channels and constructions of various types in e.g. waterlogged areas. Thanks to their high resistance to damage and rust, safety and durability along with high aesthetic value, they have proven to be one of the best choices currently available on the market and are applied increasingly often as flood, retaining wall systems during various investments and projects. The works require the use of special tools and equipment and must be conducted by qualified personnel of companies specializing in civil and water engineering and construction. The installation of PVC sheet piles must also comply with the project as well as fitting manual prepared by the manufacturer. Pietrucha is not responsible for any defects, which might result from incorrect application and/or installation. The most commonly used method, in which sheet piles are mechanically pressed into the soil with the use of vibratory hammers along the pre-installed templates. 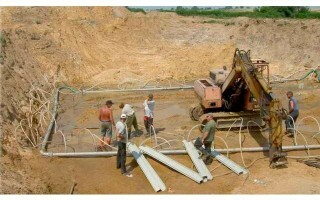 In order to fully protect the piling against damage, light equipment with small impact energy is used. The type of the equipment used is dependent on the type of soil, the depth of the cavity and the durability of the sheet pile. The key to a successful installation in hard, dense surfaces, and in ramming long elements, is the use of special guide bars called mandrels. Side or front mandrels work best. You can also use multiple mandrels that allow you to mount several pilings at the same time. This is a steel element in the shape reflecting the rammed vinyl sheet pile. Mandrel length must match the length of the rammed PVC elements. 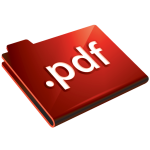 It is used for very compact or cohesive soils. 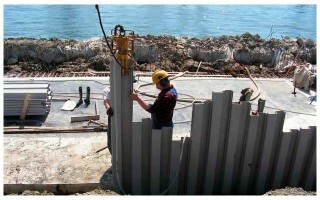 Sometimes, in certain conditions, the vibration hammers used for the driving method, do not have enough force to install the vinyl sheet piling on the required depth. It might be caused by a variety of obstacles encountered in the soil, but in some cases the soil itself might be too tough for lightweight equipment. Jetting allows to create pressure directly under the installed sheet piles, which loosens and removes the soil or the obstacles. Special water or air ejectors are applied in this technology. This method is usually used, when the depth of the constructed wall is relatively small. Quite often it is chosen for stony ground, which does not allow to employ driving or jetting technology. The plastic piling is installed in a ditch, which is then filled (on both sides) with special bedding layer selected for the project. Mechanical or chemical hardening of the bedding should be performed as well.